Custom designed Manual Multipour Dispensers, that dispense directly into the cup holders used at Adelaide Oval.This eliminates double handling and results in increased productivity. They also feature a 2 cup or 4 cup option, giving the venue more flexibility. Variable Speed Glycol Pumps. This allows the venue to increase and decrease the speed of the Glycol Pumps to suit the demand. 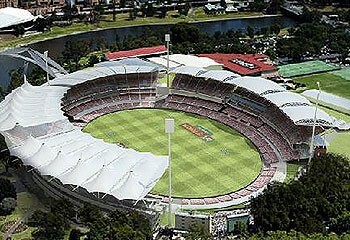 By installing Variable Speed Glycol Pumps Adelaide Oval will save over $25,000 per year on electricity costs. Q-Guard Beer System upgrade. 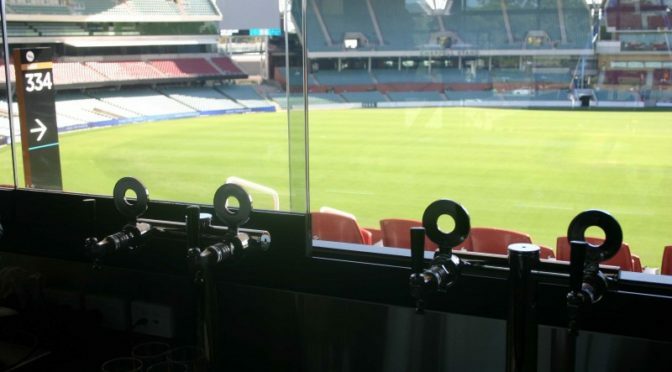 By upgrade the system to Q-Guard, Adelaide Oval will save approximately $165,000 per year on beer wastage, while dispensing higher quality tap beer. "We took great pride in installing our Australian Made beer dispensing equipment at Adelaide Oval. It was an honour to be involved in the redevelopment of this Australian icon" - Greg Russell (Andale South Australia State Manager).